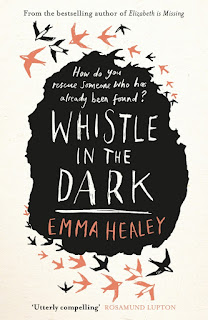 BleachHouseLibrary.ie: Book Review: Whistle in the Dark by Emma Healey. 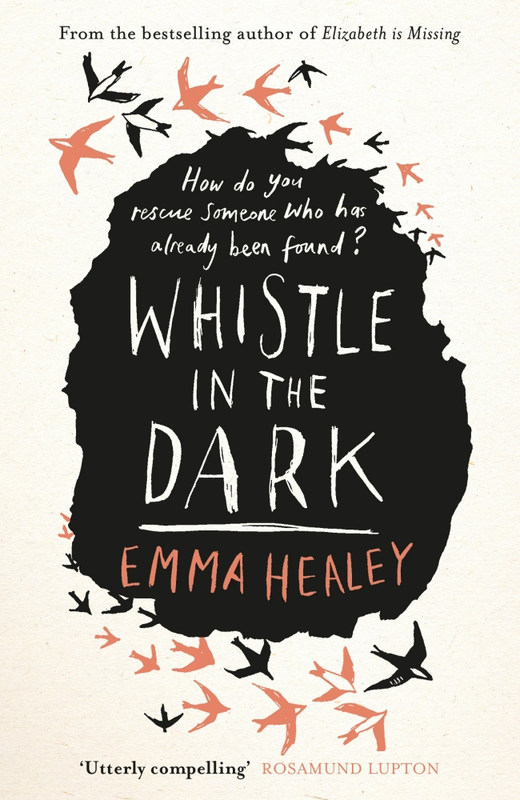 Book Review: Whistle in the Dark by Emma Healey. When fifteen-year-old Lana goes missing on an artists retreat, everyone fears the worst. Four days later she is found. She is exhausted, yet relatively unharmed. She insists she has no memory of the events surrounding her disappearance and refuses to talk about it. Lana's mother, Jen, returns to London with her daughter and tries to resume family life. But that is not as easy as it seems. Her need to understand the reason for her daughter's missing four days becomes all-consuming and she begins to question her role as a mother. Emma Healey astounded readers with her smart, witty and astute debut novel, Elizabeth is Missing, published in 2014. Her second novel is just as precise and observant, with a unique (and often deliciously humorous) tale of parenting and paranoia. Jen is intelligent, experienced in mothering and, along with husband Hugh, has provided a warm and loving childhood for both of her daughters. Then why does she feel as if she has gotten it so wrong? She begins to doubt Lana's short-term-amnesia explanation of the missing days and feels let down by the lack of theories from the police, therefore beginning her own research. Stalking Lana's social media accounts; questioning her friends; listening in to phone calls and private conversations; all the while feeling increasingly separated from her teenage child. Lana retreats to her bedroom, where she demands constant light and craves a view of the sky. She detests leaving her home and physically leans on her mother when they walk the shortest of distances. Hugh watches his wife's increasing anxiety and supports her the best way he knows how: by just being there. The tension between mother and daughter is palpable and Jen's efforts to 'solve' the mystery of Lana's disappearance take their toll: "Jen was aware of the paranoia beneath her thoughts, a hum that rose in pitch whenever Lana and she were alone together." Hugh and Jen's eldest daughter, Meg, is pregnant with her first child, and her occasional visits to the family home are genuine moments of escapism and reality checks. She reminds Jen of her tendency to be overly-mothering to Lana and yet delivers some home truths about her sister's dramatic, and often condescending attitude to their mother. Is it just a teenage sense of entitlement and superiority complex or something more sinister? Jen cannot be sure, but she is drained by the atmosphere: "Sometimes Jen felt as though her daughter's emotions hung about in the air. Irritation, exhaustion or despair lingered like a cloud of perfume, waiting to be walked through, the particles clinging to whoever passed by." Healey blends tension, fear, dark comedy and modern family life. Hugh and Jen have a wonderful, patient and resilient relationship which enables them to stay connected through their difficult situation. Hugh is the laid-back Dad, balancing Jen's more restrictive parenting. Meg is the product of their combined personalities and is a breath of fresh air in a house full of uncertain emotions. When she announces to her parents that she is gay, Hugh "(leap[s] off the sofa to hug her). Oh, thank God for that. I thought you were going to say you were vegan." While the four unaccounted days are the focus of the novel, the true tale is Jen's need to be wanted and respected by Lana, and to make up for the four days that they have lost together. The responsibility of mothering does not diminish with age; rather the onus is shifted with time and trust in the child's ability to become a responsible adult. Whistle in the Dark is dark, yet funny; equally warm and sharp in its honest look at the role of parenting a teenager in a wifi-enabled environment. Another gem from an extremely talented writer.